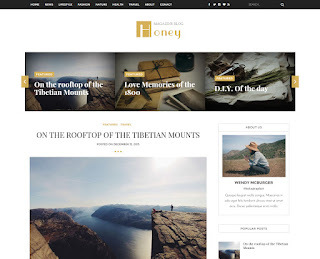 Honey Responsive Blogger Template is a crafted for the lifestyle & travel bloggers to share their stories in a beautiful way. It's content focused, socially integrated and have good mobile friendly design which promises to boost the number of readers of your blog. It's easy to customize and use as we have created an easy documentation for the usage of this theme.